All prices are in Canadian Funds. Prices noted exclude taxes and delivery charges. Once we receive your order, we will send a confirmation email to the email address you provided. We reserve the right to limit quantities and to accept or reject any order received. We do not guarantee the availability of any product. You agree to pay for all items ordered, including any processing and shipping fees and sales taxes. Orders will not be shipped until payment in full has been received. We accept payment by credit card or by e-transfer. The payment process is fully encrypted and we take all reasonable precautions to protect your personal and financial information. You must be 18 years of age or older to order from our site. You may cancel your order at any time prior to shipment. However, custom orders (that is, any order requiring design and/or assembly) may not be cancelled once design and/or assembly have commenced. We hope that you love our products – however, if you do wish to return a product, please call or email us to obtain a Return Authorization (RA). Once an RA is provided, you are responsible for sending the item back to us, postage paid and insured. Your refund will be processed once we receive the item, but only if received in saleable form. Please note that custom orders (involving custom design and/or assembly), any live or plant-based products or any return request initiated more than 10 days after receipt of the order cannot be returned under any circumstances. We charge a flat delivery fee of $15.00 (heavy items may be subject to an additional fee – we will advise you in advance if this is the case). All orders over $100 qualify for free shipping. We use Canada Post, but may occasionally use other commercial delivery services. Once your order has shipped we will provide you with a confirmation email and a tracking number, if available. We are not responsible for delays, service interruptions or unsuccessful deliveries which are beyond our control. If you do not receive your order within 10 days, please contact us so that we may initiate a claim with the shipper. At our option, we may personally deliver certain orders within the Sea to Sky Corridor. Delivery charges will be noted on your order form / confirmation email. We deliver to Canadian addresses only (no P.O. Boxes). Some of our products may be affected from extremes of temperature. We cannot take responsibility for items that are left outside if you are not home to receive your order. Further, please note that dried lavender stems are very delicate and it is normal for some buds to naturally fall off during the shipping process. Instead of having your purchase(s) shipped, you may be able to arrange to pick it up at one of our markets or events. 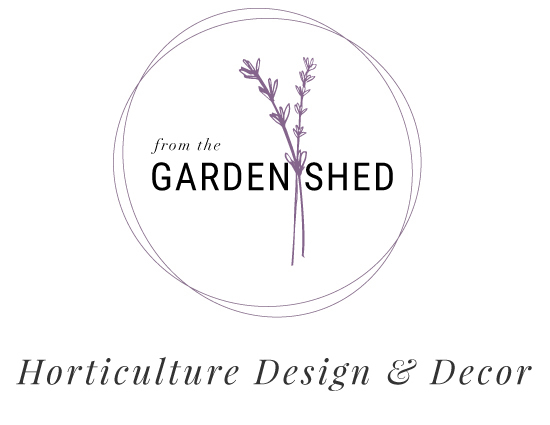 Contact catherine@fromthegardenshed.ca or call at 604.849.2243 for further details. We take all reasonable efforts to ensure that your personal information is protected. However, we do share your contact and address information with our shipping companies and your credit card information with our credit card processors. Your personal information may be used by us for marketing purposes. By placing an order with us, you agree to be bound by these terms and conditions. We apologize for any errors or typos in the information displayed on our site. We will contact you if we notice that an order has been initiated based upon incorrect information. In such case, you may cancel the order or revise it based upon the correct information.